Glamping party packages now available at Fiesta Fields, from £100 per person including exclusive field hire and luxurious bell tents. Hen parties welcome. In the beautiful Surrey and Sussex countryside. We’ve helped people with all sorts of special celebrations on all kinds of budgets. 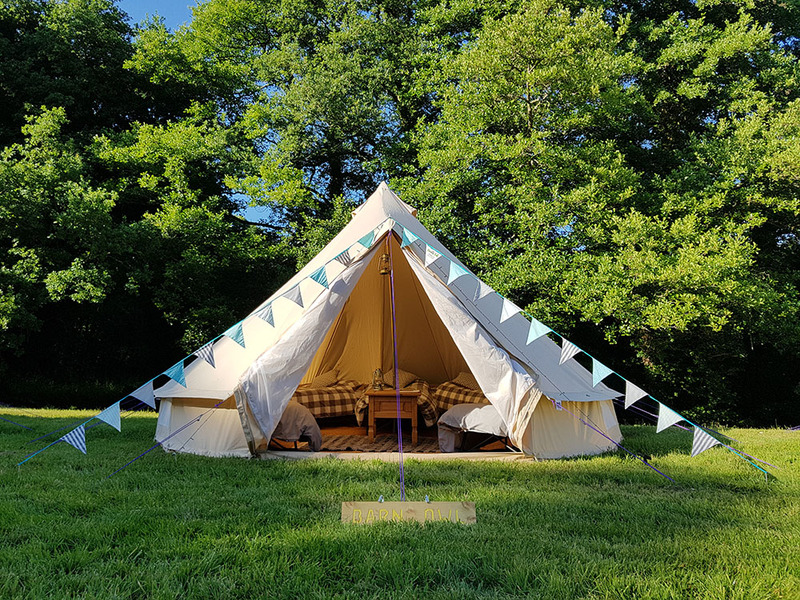 A silver wedding anniversary in tipis, a weekend long joint 70th family festival, a joint 50th and 18th weekend of glamping, a stag festival of 50, multiple hen dos and a family fun day for a charity, to name just a few. If you have plans for an outdoor event but don’t know where to start, please drop us a line. We can help advise what you can achieve for your budget and can either point you in the direction of suitable suppliers or organise things for you.